Everyone knows the Tin Woodman as Dorothy's lovable sidekick, the tin man who longed for a real heart to beat inside his tin chest. This digital original novella is the fourth installment in the prequel arc to the edgy and thrilling Dorothy Must Die series, and tells what happened to the Tin Woodman after he got his wish. In Frank L. Baum's The Wonderful Wizard of Oz, the Wizard gave the Tin Woodman a heart, and all lived happily ever after – or so the story goes. 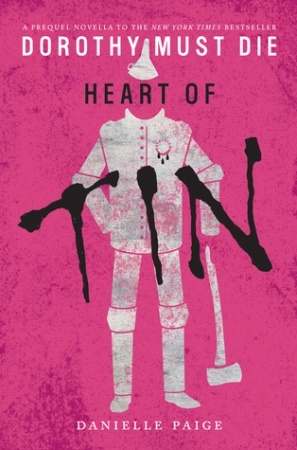 But in Heart of Tin, the heart wants what the heart wants – and the Tin Woodman's heart pines for Dorothy. The gift that the Wizard once bestowed on him turns twisted with longing. And when Dorothy returns to Oz with her own dark agenda, the Tin Woodman will do whatever it takes to help her rise to power – and to make her his.